As Ireland’s largest childcare employer we offer an exciting range of career opportunities for motivated childcare professionals at all levels, including managers, deputies, supervisors and newly-qualified practitioners. 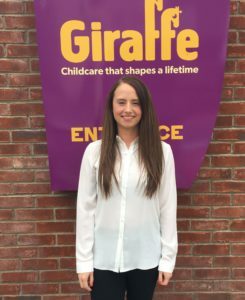 We invest in our teams’ professional development and career development in childcare, and many of our managers and leaders started out with Giraffe as newly-qualified practitioners. We believe that through a commitment to our role as carers and educators in childcare, we make a positive difference to the lives of families, children, our community and each other. Read about Workplace Wellbeing at Giraffe. We are currently seeking candidates with qualifications in childcare for our childcare centres across Dublin: see our current jobs postings here. We offer a competitive salary, continuous professional development opportunities, support with childcare and exciting career opportunities.Whether you’re completing a FETAC 5 or 6 qualification, or if you have years of Childcare experience, we’d love to hear from you! passionate about childcare and early education. We expect a high standard from all our people, and in return we offer meaningful opportunities to develop professionally and fulfill their potential. We know that having a happy team not only helps us provide the very best childcare but it also guarantees that our team stay with us and we can offer the consistency and continuity of care that’s so important to children. Read about our Infant Care workshops here. 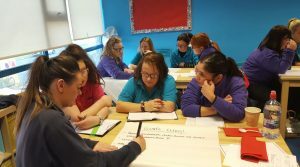 Giraffe academy’s learning and development team offer all our carers a continuous professional development program that responds to ambition and commitment. Our professional development program is led by experienced Childcare trainers and facilitators, both in-house and external. We use an action learning system, which sets our carers ‘real life’ challenges and scenarios that best develop their skills and knowledge. Read more about the Giraffe Training Academy.